For the first time since 2005 Star Wars is heading back to Cannes. The Hollywood Reporter revealed yesterday that the upcoming film Solo: A Star Wars Story will have its world premiere at the Cannes Film Festival on May 15th, 2018 (ten days before it's wide release on May 25th). This is the first Star Wars film to debut at Cannes since Revenge of the Sith had its debut there in 2005. Three years prior, Attack of the Clones also had its premiere at the festival in 2002. 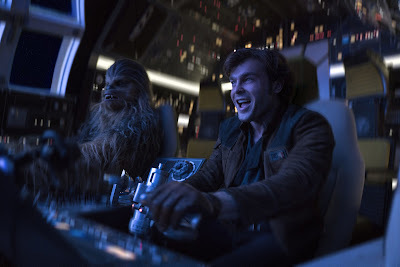 Solo director Ron Howard gave an update on the film's progress last weekend, posting pictures from the sound mixing and vfx review on his social media. He also confirmed that another trailer for the film is on the way. Howard joined the project late, and in rather spectacular fashion, taking over from the film's original directors Phil Lord and Chris Miller (The Lego Movie) after the duo was let go several months into shooting. Howard took over directing duties shortly after their departure and oversaw massive reshoots on the film.